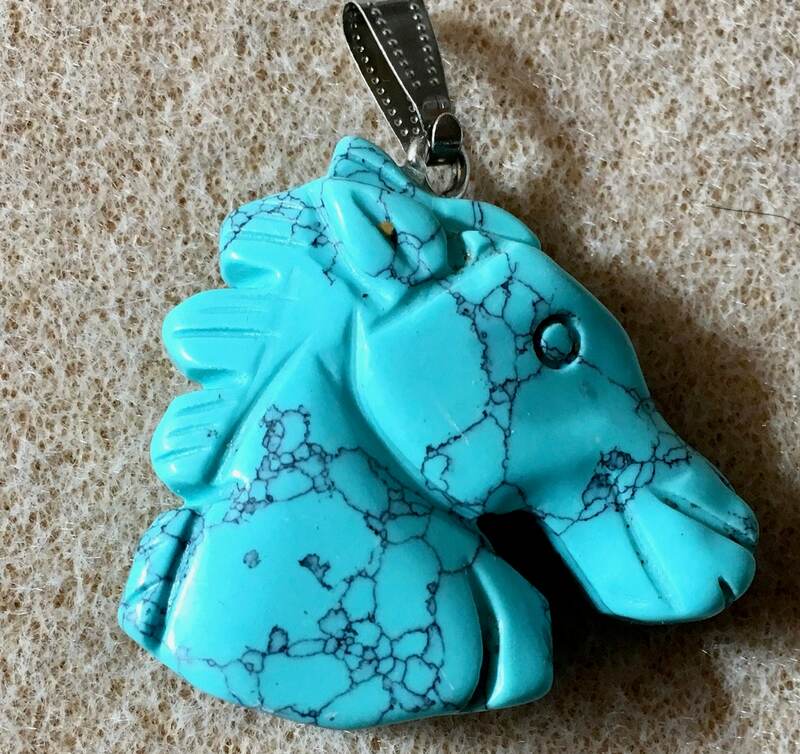 Beautiful turquoise howlite horse head pendant, double sided, with bail. Size: 35mm x 32mm. I really love these horses! Fast shipping. Always a pleasure doing business with this shop. Excellent quality. Shipped fast. Always a good experience with this shop.